This image from NASA's Galaxy Evolution Explorer shows NGC 6744, one of the galaxies most similar to our Milky Way in the local universe. 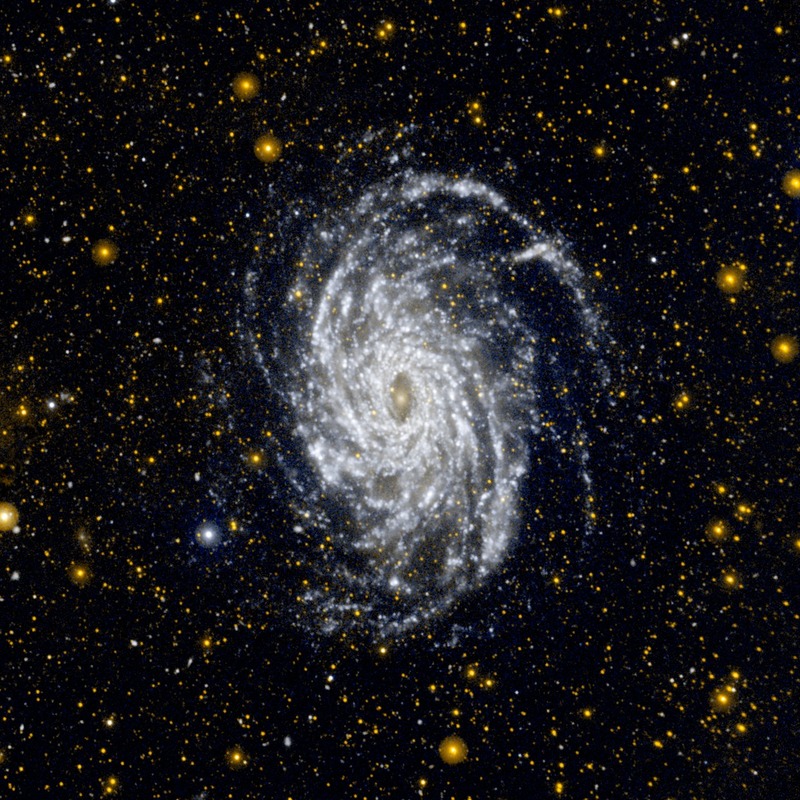 This ultraviolet view highlights the vast extent of the fluffy spiral arms, and demonstrates that star formation can occur in the outer regions of galaxies. NGC 6744 is bigger than the Milky Way, with a disk stretching 175,000 light-years across. A small, distorted companion galaxy is located nearby, which is similar to our galaxy's Large Magellanic Cloud. This companion, called NGC 6744A, can be seen as a blob in the main galaxy's outer arm, at upper right.